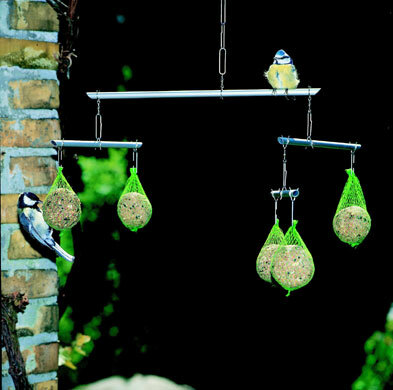 Useful list of the best or at least most unusual bird feeders on the market put together by The Guardian here. I liked particularly the above mobile bird feeder. Meanwhile the RSPB’s national Feed the birds weekend starts tomorrow. The Waspinator is a fake wasps nest. Wasps are very territorial, they will aggressively defend their nest against wasps from another colony. Any wasp which sees this “enemy nest” will rapidly fly off for fear of being killed. The result is a large wasp free zone without killing wasps and without disturbing the insect world in your garden. Enjoy wasp free barbeques without the use of chemicals and with zero maintenance.